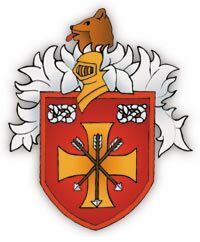 The Wolverhampton Company of Archers was founded in 1949, and quickly developed into a strong club with a thriving membership. Shooting initially took place at several locations around the western outskirts of Wolverhampton before being firmly established at our current grounds within the pleasant rural surroundings of Wergs Hall Road, near Tettenhall. The land was chosen and eventually purchased by the club with archery in mind. It is large enough to accommodate all recognised Target Archery distances, and the north-facing aspect provides perfect light conditions all year round. Since its formation the club has gone from strength to strength, and has consistently enjoyed the privilege of members who have been highly respected at County, National and International levels, and we can even boast several world champions and record holders within our ranks. What sort of people would you meet at the club? We are a rather diverse bunch who come from all walks of life as archery is not a sport which easily discriminates; we accommodate able-bodied and disabled archers, aged from the very young to the not-remotely young. We are equally varied in the forms of archery that we practice, and there is a healthy representation of just about every type of bow, including Recurve, Compound, Barebow, Longbow, American Flat Bow and Horse Bow. What could you gain from being a member of our club? Whatever you wish. We firmly believe that all members should be free to take as much or as little from the sport as they choose. Whether you wish to represent your country or shoot recreationally whenever you have the time, you will find us equally welcoming and supportive. Members may shoot as individuals, compete in groups, score recognised rounds to improve their handicaps, or shoot arrows solely for the pleasure of doing so. We do not pressure anyone to do one or the other. We are extremely fortunate to own our grounds, and this affords us a degree of flexibility which few clubs can match; our members are free to attend at their own convenience, at any time of day, any day of the year. The size of the grounds largely restricts us to Target Archery, however trips are regularly organised to take in very different forms, including Field Archery and Roving Mark. We do not have an indoor range, but we have constructed a well-lit covered shooting area, which keeps us reasonably dry during inclement weather and allows for shooting throughout the winter evenings. The club is owned and run by the membership, from whom a number of officers are elected each year to carry out routine administrative tasks. Bimonthly meetings are held in the clubhouse on the second Tuesday of the month and all senior members are welcome to attend and share their views on any items of club business which need to be addressed. Whilst we take the maintenance of the club very seriously, we do try to keep these meetings as relaxed and as informal as possible. Occasionally we organise work parties to carry out a number of major tasks around the grounds, at which as much of the membership as possible descends upon the field to tidy the borders, clean the clubhouse, repair the bosses, etc. Mowing the grass is a persistent chore throughout the shooting season, but because the membership take it upon themselves to attend to whatever minor work needs doing as and when they see it, we usually get away with just the two work parties at the beginning of April to put the club in good shape for the whole year, thus minimising the inconvenience to those who would much prefer to be shooting. By joining the club, each member agrees to share this burden, and through a little effort now and again the condition of the club is preserved as a clean, pleasant and relaxing environment.